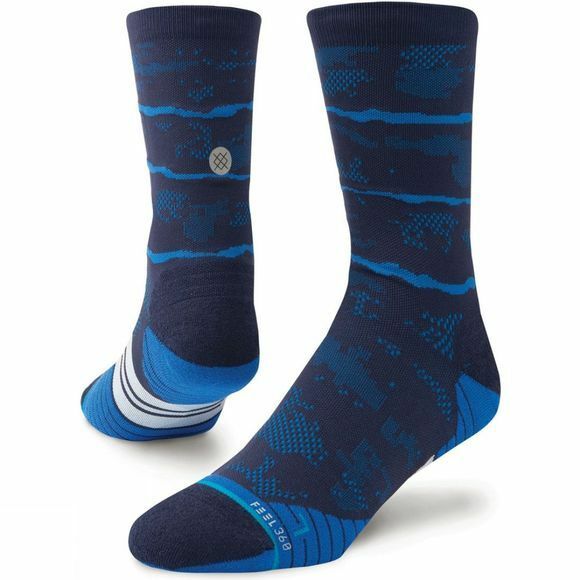 The Stance Mesa Crew by Stance is an ideal choice for runners, with an articulated foot bed for better padding and airflow to keep you comfortable as you run. Strategically placed mesh vents further enhance ventilation and a reinforced heel and toe add durability. Perfect for longer runs, the Mesa Crew offers targeted leg compression to help up your performance.